Our engineering services arm, Italthai Engineering, provides all disciplines and full scope of engineering, procurement, construction, installation, testing commissioning and construction management of large buildings, factories, high voltage power substations, renewable and thermal power plants and utility plants with one-stop construction services including electrical, mechanical, HVAC, plumbing, water technology, environmental and civil engineering certified by international standards ISO 9001:2015. Aside from our engineering services, we also expand our business to Myanmar under the name of Italthai Engineering (Myanmar) by providing comprehensive construction services, power plants business, residences, buildings as well as infrastructural utilities. 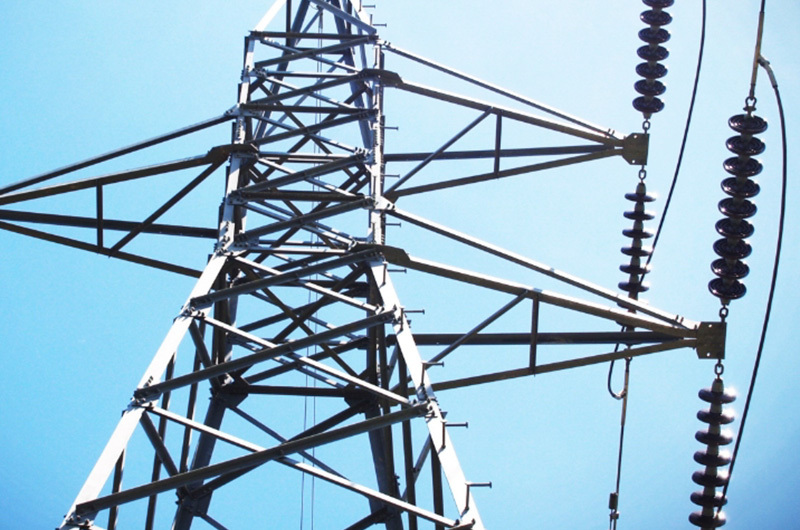 With our team of specialists in HV electrical systems and latest technology equipment for measuring and testing high voltage substations, we are able to provide services of design, procurement, construction, installation, testing and commissioning, and maintenance of HV/MV transmission, substation, and distribution systems. The team also has experience in providing turnkey solutions in HV/MV electrical systems including power supply and SCADA for the private sector including complete electrical infrastructure works for large factories, buildings, industrial and commercial estates and developments. Our team of specialists has experience in delivering turnkey solutions for both Gas Insulated & Air Insulated Type substations with Electricity Generating Authority of Thailand, Provincial Electricity Authority, and Metropolitan Electricity Authority. We also provide problem-solving, system upgrading, and testing and commissioning for public and private organizations. Italthai Engineering Electrical team together with their international partner deliver smart substation solutions, smart grid, micro and isolated grid solutions. The team also has experience in delivering energy storage and solar rooftop solutions for both the domestic and international market. We provide construction and M&E solutions to the companies operating in oil & gas, petroleum refining, chemicals & petrochemicals and fertilizer sectors. In-house expertise and experience, synergized with strategic partnerships enables our teams to deliver single point solution for every phase of a project – right from the front end design through engineering, fabrication, project management, construction and installation up to commissioning. Our experienced engineers and construction crew stay at the forefront of software, equipment and training developments to ensure the most effective design and construction of processing, oil and natural gas pipeline systems. Our drive for innovation, quality and safety allows us to complete any project on time and on budget, with minimal impact to landowners, total environmental compliance and maximum overall efficiency. The key aspects of business philosophy are: on-time delivery, cost competitiveness, and high quality standards with focus on best in class HSE practices. Integrated strengths coupled with experienced highly-skilled engineers and workmen, are the key enablers in delivering critical and complex projects in Thailand. Italthai Engineering’s Power Group team experts understand the complex compliance requirements for bringing new power plant construction on line, providing turn-around services while meeting the local and international standards. Our team has over a decade of experience in constructing power plants, deriving energy from renewable and non-renewable energy sources, having successfully completed power plants generating up to 1000 MW in Thailand. This experience and the resulting technical expertise, the company had evolved into one of the leading construction companies in this sector. Our scope of delivery and services extends from the design and construction planning, through the handling of all earthwork, stonework and finishing works, to the turn-key construction of the power plant infrastructural buildings. With our own high standards of quality, adherence to schedules and project management, Italthai Engineering has always proven to be a reliable partner for both the Electricity Generating Authority of Thailand and the Independent Power Producers. With over two decades of experience in executing buildings utilities in high rise buildings, hotels and resorts, commercial and mixed development projects, Italthai Engineering Utiltity Group has capabilities to provide full range of M&E services including Mechanical Engineering Services, Electrical Engineering Services, Systems Integration and Project Management. In addition our engineering professionals are constantly updated on the latest U.S. Green Building Council (USGBC) and LEED certification program the team has executed projects in compliance with the latest LEED guidelines in the healthcare and commercial mixed use development projects in Thailand. Italthai Engineering has now expanded its business to Myanmar under the name Italthai Engineering (Myanmar) Co., Ltd. The company has capabilities to provide design build service in the power generation [renewable and non-renewable energy source] sector, transmission & distribution lines, substations and electrical maintenance sector, complete CSA and MEP works for residential, industrial and commercial mixed use buildings and high rise buildings using the latest technologies including BIM and AutoCAD implementation in the project execution. The team strives to uphold the quality and engineering standards on all our projects as are delivered to our customer in Thailand.